Girls of the moon from LEYTH PRODUCTION on Vimeo. How can we live without sun and still have the hope and the courage in life to survive and continue? Girls of the Moon follows the choices and lives of four young women and a little girl suffering from a mortal disease; each has chosen her own way to survive and live her life. 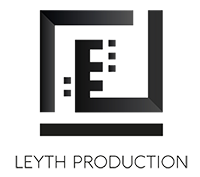 Créative et dynamique, l’équipe Leyth Production regroupe de jeunes professionnels entreprenants, issus d’horizons et expériences divers. Notre passion nous anime dans tous les projets audiovisuels que nous menons.